Example of items that may be included: Long boards, Skate boards, scooters, Bikes, Ext. Brands may include: Razor, Quest, Little Tykes, Yvolution, Huffy, Ext. If you need a shipping quote, please send a message with your EXACT postal code. 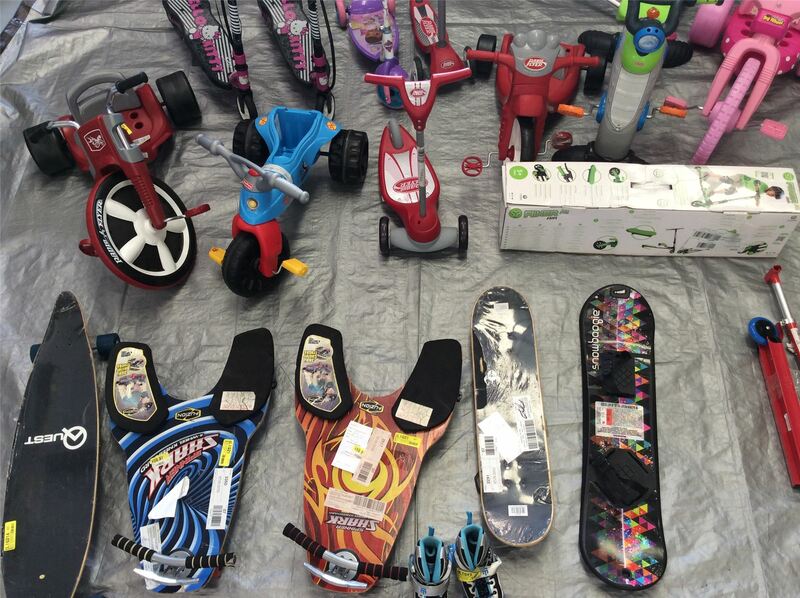 Click the button below to add the Wholesale Lot Assorted Bikes, Longboards, Skateboards, Scooters Approx. 23 Pieces to your wish list.